Cheryl Ladd is a marketing research strategist with a 25+ year career in global healthcare including clinical research, product development, marketing and marketing research in both the pharmaceutical and medical device industries. She conducts projects spanning the entire product/business life-cycle including ideation and concept generation, competitive landscape assessments, segmentation and positioning, pricing and market launch initiatives, and repositioning/rebranding. Cheryl has an industry-wide reputation for delivering research results of only the highest quality. Her ability to obtain insights and provide strategic direction in response to key business questions, regardless of project complexity or challenge, has made her among the most sought after medical device qualitative market researchers in the industry. She is also one of the few researchers trained in Jobs/Outcomes methodology. “I have had the opportunity to work with Cheryl and Ladd Research Group for over 15 years and highly recommend her work and approach. What sets Cheryl apart for me is her (medical device) marketing and strategy experience that adds to any market research initiative she is doing. Before owning her own firm, Cheryl was on the client side as a strategic and upstream marketer; she understands marketing and thus is very effective and efficient in planning a solid research approach and delivering the insights in a very user-friendly and valuable format. She is the best I've seen interview surgeons; she immediately gains their respect through her competency and professionalism; she can tease out the important insights during an interview. As a client, when I worked for large brands at Johnson and Johnson, I was always confident putting Cheryl in dialogue with the surgeon customer. Now, as a consultant, I have recommended Cheryl's work to my clients and they are pleased with her work. She is easy to work with, professional, and the output is of a very high caliber. Specifically, her reports of the qualitative research are thorough and useful to any strategic marketer. 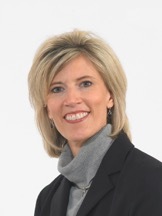 At Mentor (JNJ) she led the insights for a large portfolio and company brand strategy initiative. Her insights were valued by the Premier Global Branding Agency - Landor, Her work helped the team develop a winning brand strategy. For another medical device firm, she helped lead the qualitative research to define the brand positioning that is resonating more in the market place.